We are based just outside Kinross and our team of vets on the road provide first opinion work to clients living across Central Scotland, including Fife, Kinross-shire and Perthshire. The area runs from north of the Forth Road Bridge, east to cover the whole of Fife, up to just north of Perth and west over to Gleneagles and Auchterarder. Our West hand boundary is Stirling and just south of the Kincardine Bridge. The RCVS provides clear guidelines to practices to ensure we can respond and get to emergency calls within a reasonable timeframe. As horse owners ourselves we understand how stressful it can be waiting for the vet to arrive when your horse is in pain. 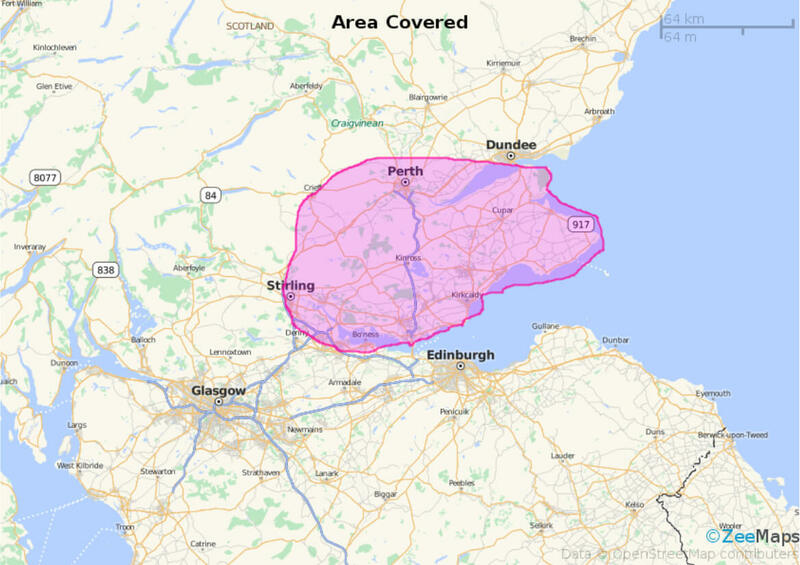 When we set out our catchment area this was at the forefront of our minds and still influences our decision as to how far we will travel for first opinion clients, and is why we still choose not to cross over the Queensferry Crossing where the traffic can be so unpredictable. The size of our team allows us to routinely have back up for our on call vet so should the worst happen and several emergencies come in at once the on call vet can request help to prioritise and delegate calls to ensure we get to all the emergencies in a timely manner.